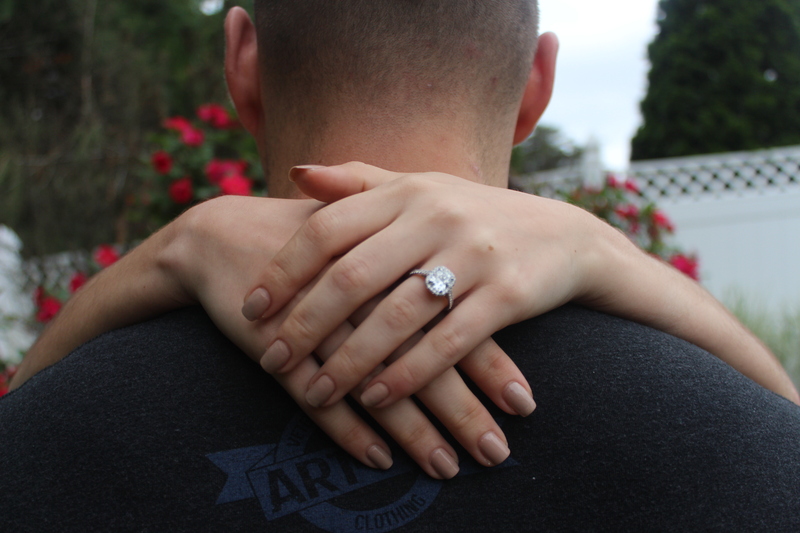 Let’s start with the big news – I’M ENGAGED! I am completely over-the-moon, excited, happy, loving life and put my blog and youtube on the side, for now. That doesn’t mean I’ve put my weight loss to the side! I’m currently still meal prepping weekly and I’m sitting around 126-127lbs – which is down 53-54lbs from my starting weight. I have no idea where to start this, but here we go! I finished college early, but I graduate/walk in June (so close!). I moved 2.5 hours away from my family when I finished college – so that was a chunk of time where I was busy. I still meal prep and my meals have been looking different than most meal preps. Lets talk about that some more! There were even days I just didn’t want any of my lunches (thanks PMS/period) so I would go out and pick up watermelon or cheez-its. No shame. I originally wanted to reach 120lbs before June 29th, and to be honest – I am enjoying where my body is at right now (at 126-127). I could lose a few more pounds or I could stay here. Regardless, I feel good and I think I look good! That’s all that matters, so I’m not exactly following a weight loss deadline anymore. I’m still eating in a deficit and working out, but I’m not focused on reaching 120 by June 29. If something pops up and I have to eat off my macros for a day or two (like spending the weekend with my family), then I’m ok with it. So what I won’t lose weight! I also won’t gain weight so thats a win to me! I definitely don’t want to go back into the 130’s – my highest ‘healthy weight’ is 135lbs, but I just didn’t feel great in the 130’s. Besides, now with a wedding to plan my weight loss goal is for that. I’d love to be 115lbs or 120 for the wedding (which is 1.5 years away) so I have plenty of time to diet down, see how I feel and go from there. What’s the point in rushing anyway once you feel good where you’re at, then your approach to dieting will change. I didn’t expect to feel this good at 126-127, but here I am – and I’m not mad about it! End rant. Back to my meals, for dinner I have not strayed from my chicken, rice, veggies. Rice makes me happy, chicken makes me happy, and veggies are delicious. Too bad I can’t have chicken and rice for every meal. Anyway, that is where I have been (literally and mentally). I’ve just been enjoying life and taking in the moments! I’m thinking about making a cheap meal prep blog post next! So sign up for the emails to know when that post goes live if you’re trying to meal prep on a budget!